Anyone used this to keep the battery topped up on site? All my stuff runs off 12v so don’t need mains but longer site stays mean battery juice runs out. I have one permanently connected to my boat battery year round and only disconnect when I use the boat. I have an alarm powered off the battery and it works fine as a set up Being a sewage diver at least I know how deep the 💩 will be at work today. That’s basically how a motorhome works. 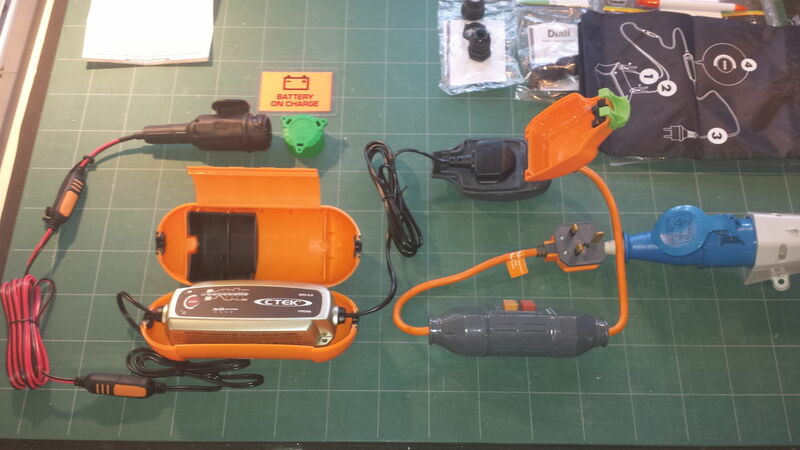 As much stuff as possible uses 12v, not 240v, and the 240vmains is used to top up the batteries. it depends on how many amps you are drawing. if you have a 10 amp charger charging a battery then the battery will still start to discharge as soon as you pull more than 10 amps with your load but it will discharge at 10 amps less than without the charger. 10 amps isnt much and is only equivalent to 12v x 10 amps = 120 watts . so upto 120 watts the battery will charge, above 120 watts the battery will eventually discharge, how long it takes depends on battery size and the load. capacity of the battery is required. I also think I have a need to keep the Defenders Battery topped up. I had a slow then subsequently non start...due to a flat battery. Vehicle has had little use for about 1 month, but with 2-3 starts to move it short distances on the property. My Trackers have caused no issues to date <5 years use. with no issues, but maybe I was lucky). (sorry... off to the naughty step) SKIP. 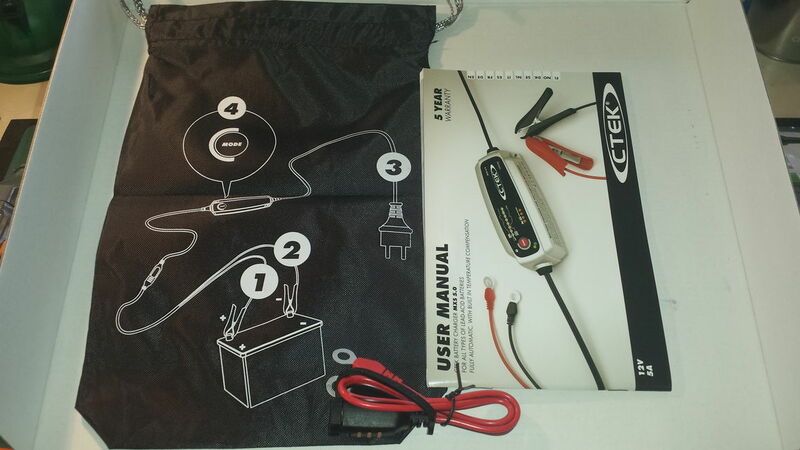 We use a c tek 5.0 to top up the battery while camping. I have this plugged into a mains socket in the back and charge via a permanently live hella/Din socket that we run the fridge on when moving. No reason why you couldn't consider similar when parked up at home. Anyone done this on D2N SKIP. ^^ Oh yes, several to me alone. 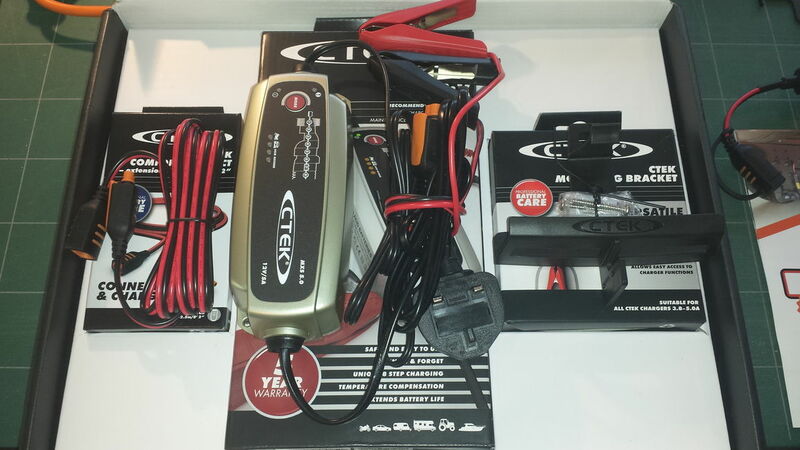 Those “Martin plugs”, a genuine 12S or a 13pin plug, plus a Ctek charger are the most practical way to keep your battery in good shape. 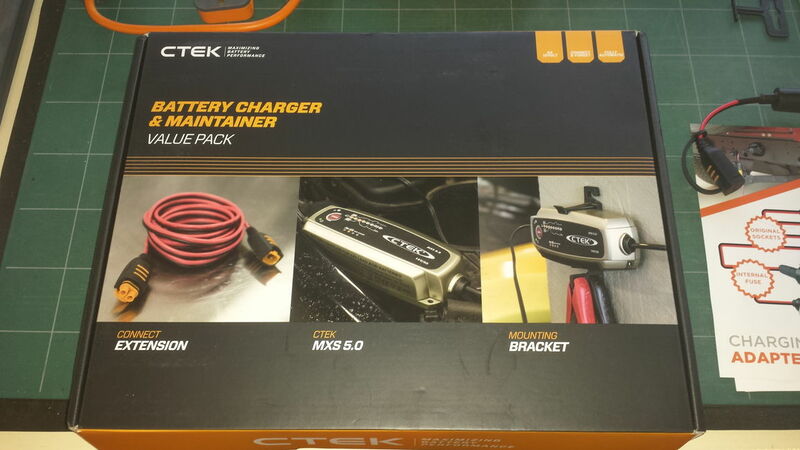 By the way, last week I chatted with the Ctek reps at their stand at the Geneva Motor Show, and they said the various versions of the MXS5.0 are probably the best charger they ever made. 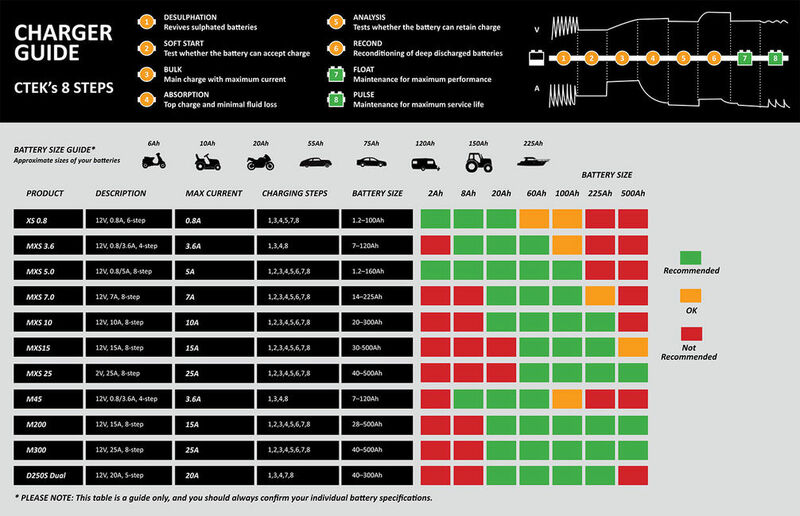 They said for home use on a Defender battery no higher amps version is needed. I now use the MXS5.0 Polar version which has thicker more rubbery connecting cables than the standard MXS5.0 which remain more flexible and durable in freezing temps. 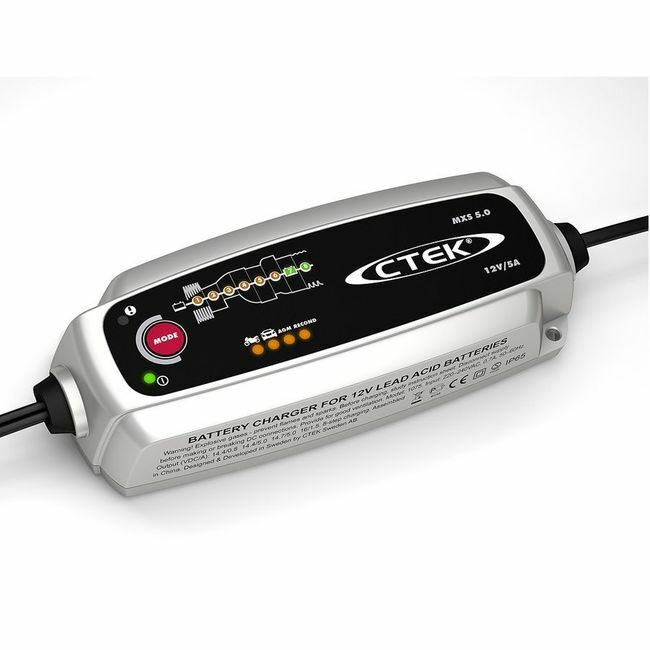 Ctek also just launched a newer version of the MXS5.0 now again, white colour and this one provides info of how long it will take to fully charge up the battery it gets plugged in to. Click image to enlarge You never actually own a Defender. You merely look after it for the next generation. the idea of a true 4 seasons product, I'm assuming that it has a reasonable IP rating also. The Polar has IP 65 just like the MXS 10. The 10 has a temperature sensor to compensate for cold batteries. the 10 is spec'd to -20°C, the Polar to -30°C. I have the 10 hooked up to keep both 100Ah batteries topped up. 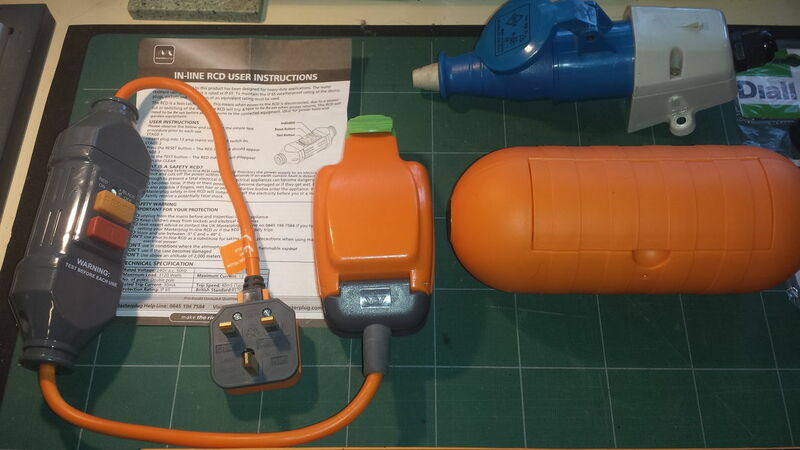 this off the mains input for our Caravan, so both Batteries will charge when on site and hooked up. Martin's 13Pin CTEK Adaptor Plug (top left above) makes this whole set up work simply. I worked backwards from the ability to just being able to 'plug into the defender' avoiding the need to get to the Battery Compartment (I have security layers here too which adds to the time / sequence necessary to achieve this). 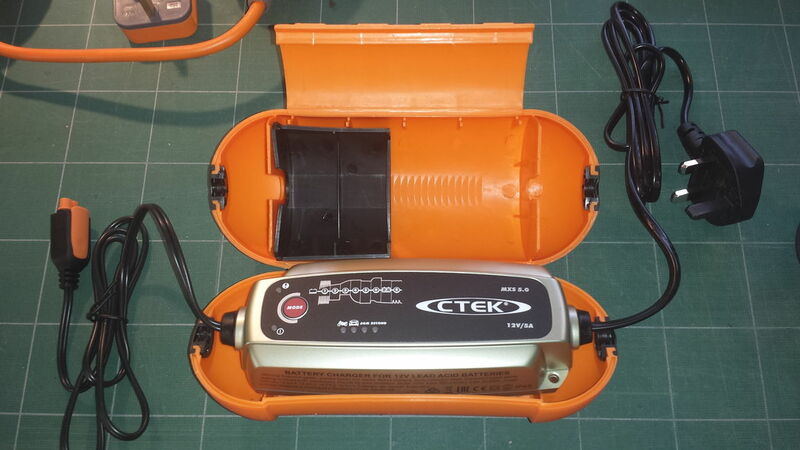 There are various quality levels of 13Pin plugs and this one looks to be really good, no loose pins, or flash marks from a poor mould, the rubber seal used stepping down to the CTEK wiring also fits really well, and the Plug is 15A fused. A nicely fitting Green Cap seals off the whole thing when not in use, lastly a laminated Battery On Charge notice to help prevent a non disconnected drive away... SKIP.